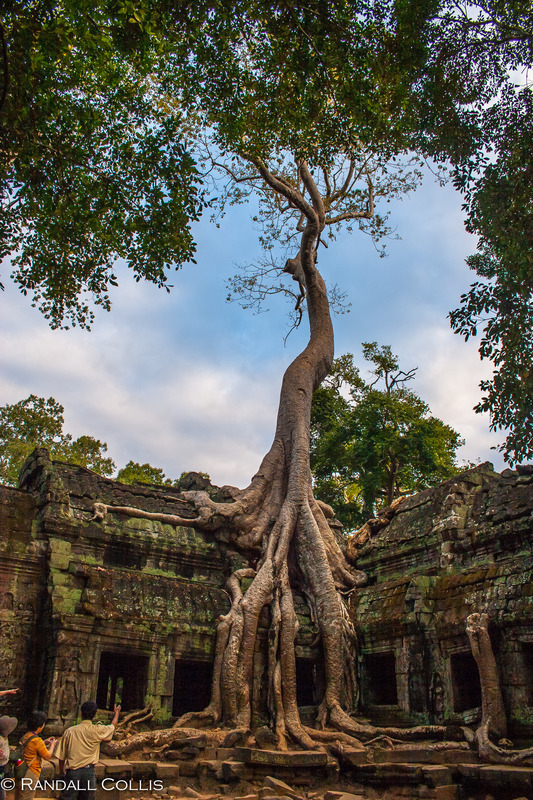 I hadn’t planned on writing another blog entry on Cambodia, but then it is a good excuse to show some of the more iconic shots of the power of nature at Ta Prohm and discuss the inevitable change around us. 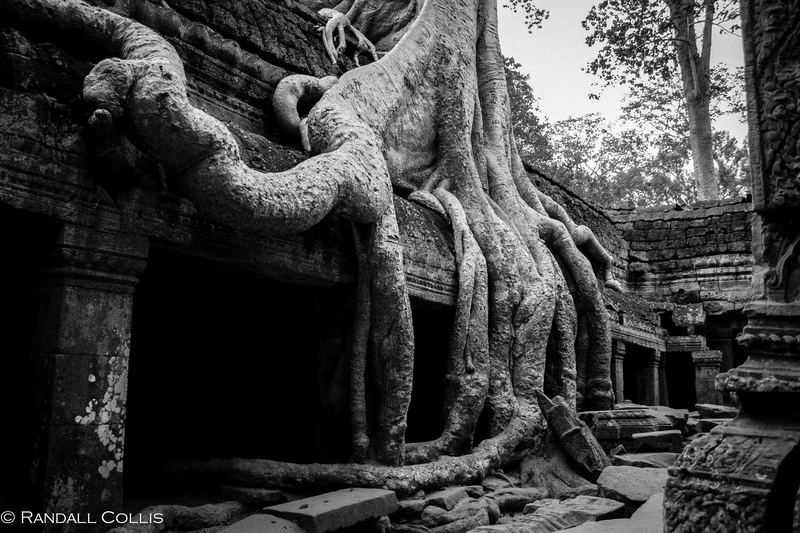 Of all the photos I have seen of Cambodia, these tend to be the most common: nature coming in to continue the cycle of change…to return everything back to its source. Change is a challenge nature throws our way, and how we reconcile change within our lives makes us who we are. Today’s world has undergone a paradigm shift in terms of how technology has removed us further from the physical world. A change that has many people struggling to understand what lies ahead. Where in the past we had a better understanding and thus security, today we float through ethernet cables from quarks to parallel universes. Yet fear not. This is the beauty of evolution. When we understand that change is the only constant there is in our lives, it makes it easier to recognize our own purpose and meaning. We either adapt or struggle (e.g. blaming politics & the world until our last breath). At times, I have been terrified of change and struggled until realizing that change brings experience to life and, in essence, brings out a hero quality we all have inside. 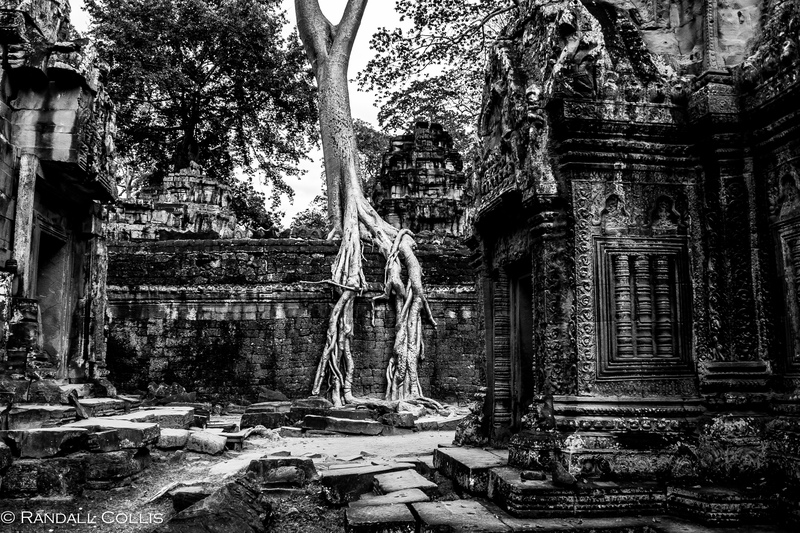 This is perhaps why I find Ta Prohm so fascinating. Mother Earth has taught us: change & evolution is inevitable and in the future more great monuments may become covered in brush & vine as society decides to moves on. 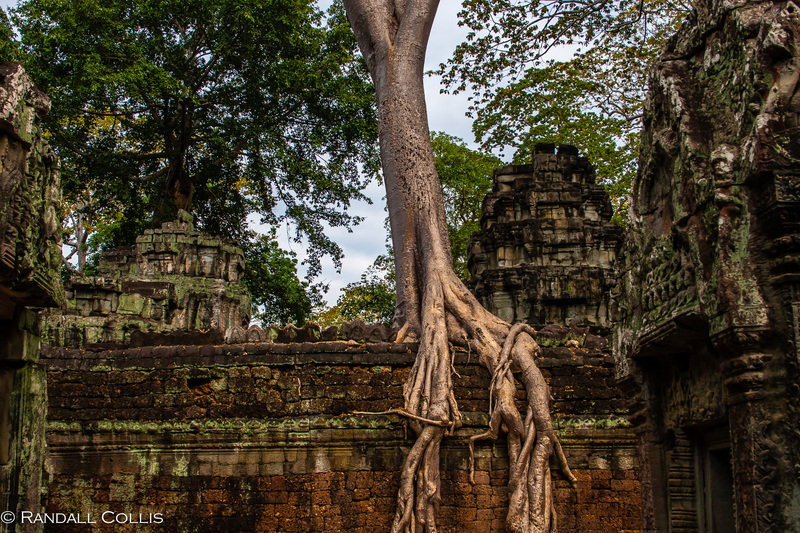 The Hall of the Dancers at Ta Prohm intrigued me the most, mainly because some locals were filling me in on its history and I walked away knowing that it is futile to fight change. Understand change, embrace its inevitability and continue to move forward and add value to our lives and to those around us. Empty your mind and heart and be at peace, while around you is turmoil: endings become beginnings and beginnings will end. Everything flourishes and everything ends, it is what it is: the cycle of life. If you do not understand your source and nature, you will stumble and life will stagnate. Understand your source and you can fulfill your destiny. Be tolerant among change and you can deal with all life brings your way until you are ready for the cycle to begin again. My simple take on this verse: By allowing yourself to accept change, you to return to your source (your nature) where you are able to begin to understand how your world really works. With this understanding, you are ready for all life can offer…thus will accept the end.